Fairy tales have always been the kids’ fascination, but the ones who ended up being the most attracted to them have been and still are the little girls. Even after growing up the magic of the fairy tales have left a print inside women’s soul since they are still known to dream of their prince charming coming to propose to them one day. And when this thing happens they have that image of a bride dressed in a ball gown style of a dress with the immaculate appearance of a princess showing up at her ball. 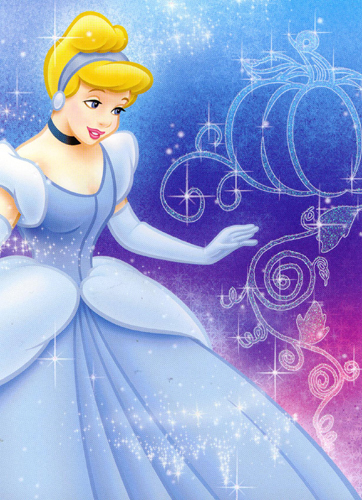 As one of the most representative figures in the world of fantasies, Cinderella fairy tale is by far the most popular and as such many brides-to-be dream of having a Cinderella wedding gown to be worn on the most important day of their life: the day when they totally commit themselves to a life spent next to their prince charming. The style of Cinderella wedding gown is preferred also because through its design it brings a great deal of femininity and delicacy with the tiny waist emphasized by the stretched bodice accenting the sensual side of a bride. The commonly known style of Cinderella wedding gown has seen many adjustments in time, from tiny puffed cap sleeves to add a touch of classic innocence to the strapless bodice for the sensual touch and elegance of a wedding attire. If you want to introduce the magic inside the unfolding of your wedding the recreation of the Cinderella fairy tale seems to be the best choice. Everybody is familiar to this fantasy and staging one for the biggest day of your life will guarantee the success and the immortality of such an event for both you and your guests. When you plan the fairy tale of your wedding you will be in search for the Cinderella wedding gown that can be found inside the various bridal collections displayed online with a variety of styling elements to choose from. But to have an accurate replica of Cinderella wedding gownyou should go for a tight and fitted bodice attached to a full skirt that has a rich petticoat underneath. The neckline could be of various choices: jewel, sweetheart or v-neck; even scoop can be charming if it is not that deep and audaciously showing the round forms of the breast. As a hairstyle to complement the aspect of Cinderella wedding gown you can go for a romantic style of a hairdressing using flowing curls and ribbons. In case the wedding dress is elaborately designed, a simple and neatly hairdo of your hair will be enough. You can as well get inspired from the Walt Disney cartoon adaptation of the Cinderella character to belong to the fairy tale and as such getting a perfect resemblance to one of the most famous characters in the world of fairy tales.